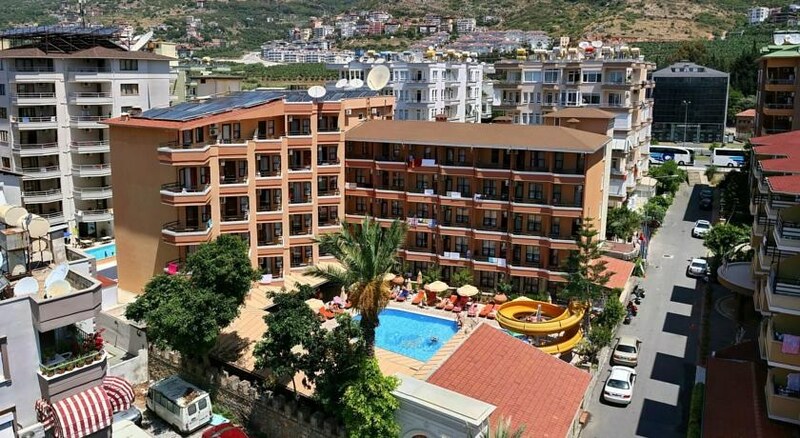 The Fatih Hotel is located 100 m from the beachfront in the popular summer resort of Alanya on the beautiful Turkish Riviera. 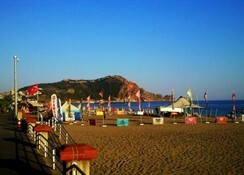 About 1.5 km from all the action of the resort centre, this friendly 3 Star property has 62 rooms and 5 Family Rooms providing fresh and clean accommodation for couples, families and groups of friends looking to be near the beach and accessible to all the shops, restaurants, and nightlife in Alanya. 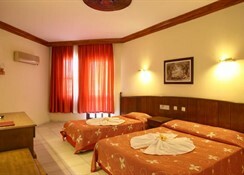 Guests to the Fatih Hotel can enjoy this medium sized bright and modern hotel offering affordable holidays for all the family! Airport Distance: Antalya Airport is 125 km from the Hotel. Dining: The Hotel has 2 restaurants with a seating capacity of 100 guests inside and 80 guests outside. The breakfast Hall can accommodate 100 people. Guests can enjoy drinks and snacks at the pool bar and restaurant bar. 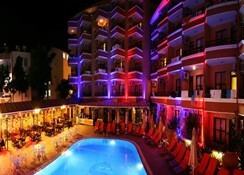 Activities: Outdoor swimming pool, children's pool, table tennis, Billiards, Darts. 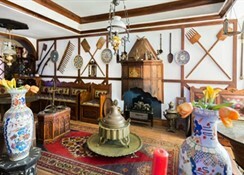 Nearby activities include Diving and water sports, Turkish bath, Sauna, massage services, and hair dresser. Additional: Outdoor parking, meeting room (capacity for 65 people), extra power generator. 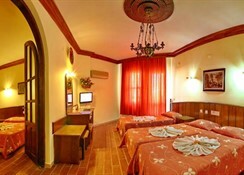 The Fatih Hotel features 62 rooms and 5 Family Rooms. All rooms have bathroom facilities (shower, WC, hair dryer), split air conditioning with heating option, safe, mini bar, Satellite TV, direct dial telephone, and a balcony.